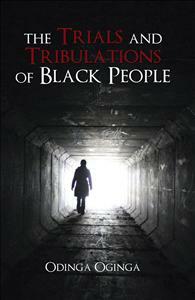 My book is about the life of Black People in America. We have had and still have many Trials and Tribulations against us. The majority of my people still have their plantation names and it doesn't bother them. The treatment of my people have changed little since I was born. We are a people who lives do not matter to the people in power and also to those who look like them. It's been one of the GREATEST CRIMES in HISTORY of the way we have been treated as a People.